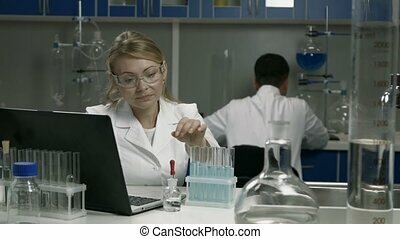 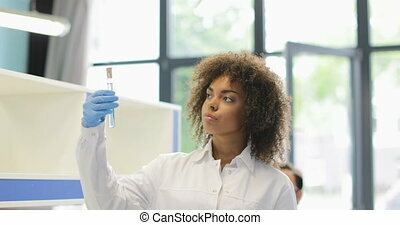 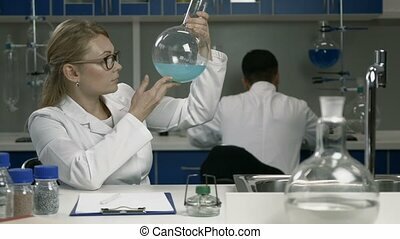 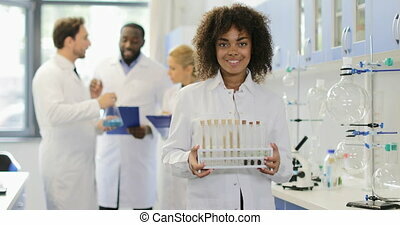 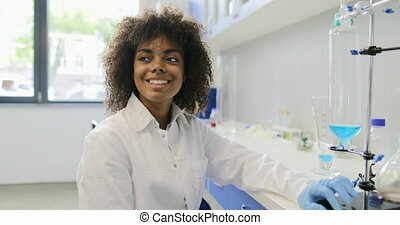 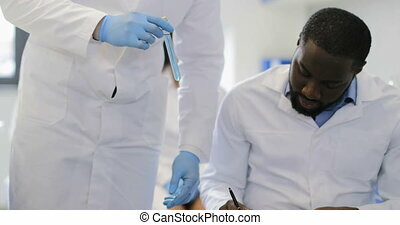 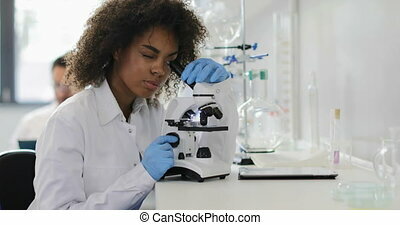 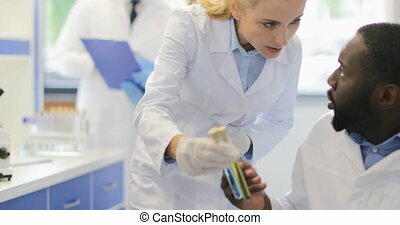 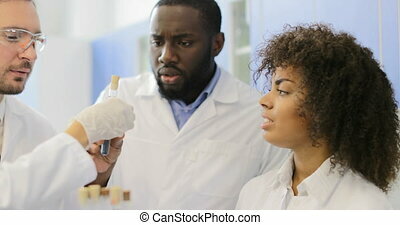 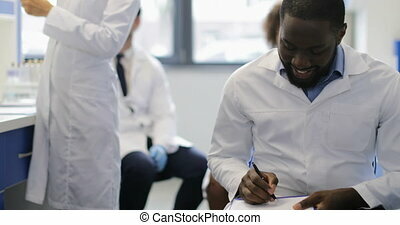 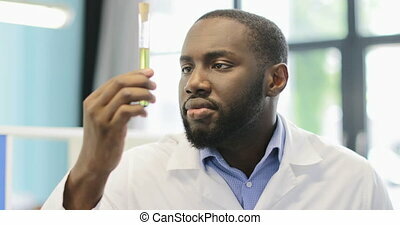 African american researcher making notes while female scientist analyze liquid in test tube in laboratory slow motion 60. 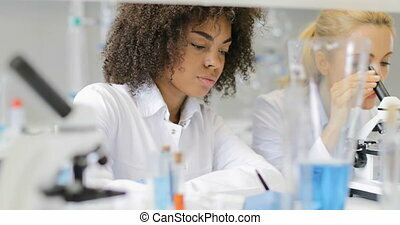 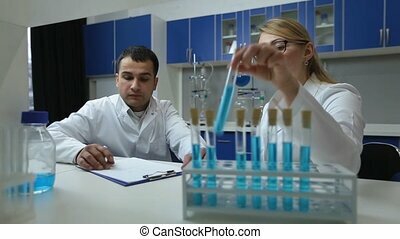 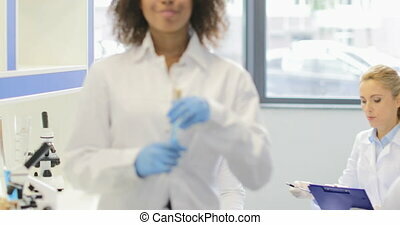 Focused female supervisor in protecive gloves and her mixed race male assistant scientist pipetting solution into test tubes in biochemistry laboratory. 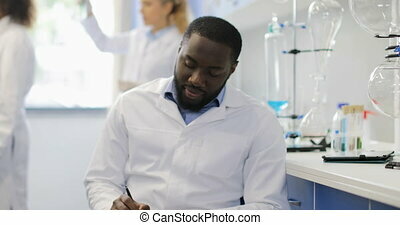 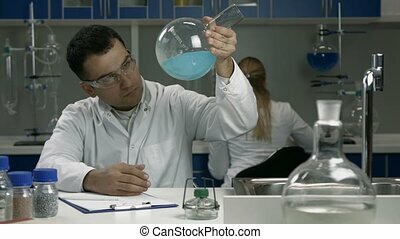 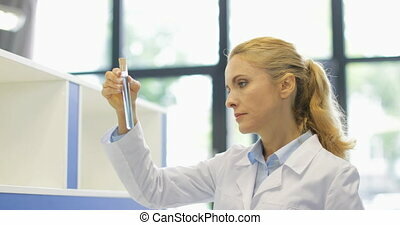 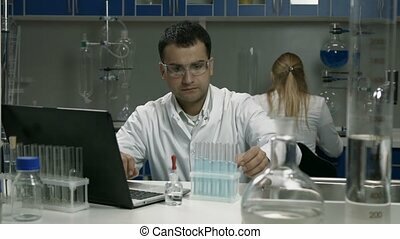 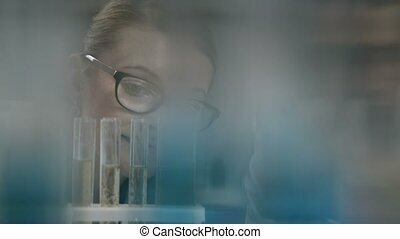 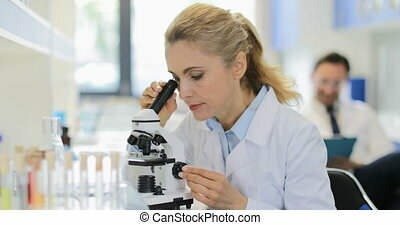 Concetrated scientific researcher analyzing samples during chemical experiment in lab.